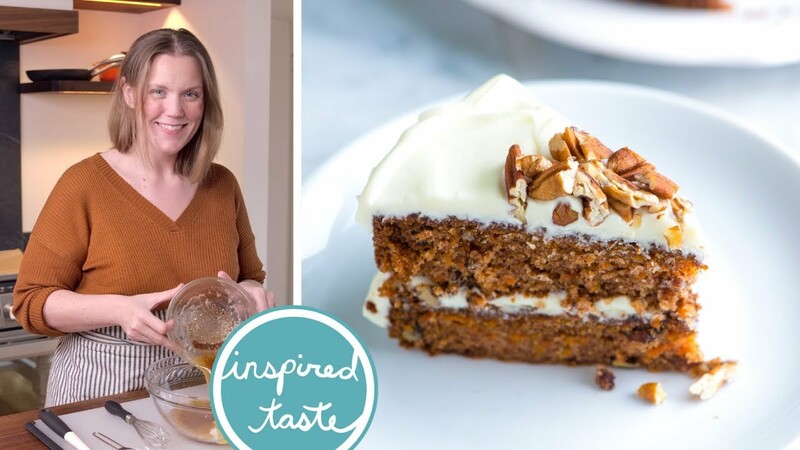 Today, I’m showcasing some of my favorite desserts whose classically delicious flavors have been enjoyed by families for decades – and some even longer than that! I enjoy those 30- second recipe clips as much as any other millennial, but this is neither the time or place for such antiquated treasures as the ones I’m sharing with you. To pay proper homage, I’m going old school with old-fashioned written recipes – just like ones found in Grandma’s cookbook- only not with a 5″ X 3″ card, complete with greasy Crisco stains. Simply click on the name of the dessert to bring you right to the recipe! Trust me – you’re going to want to hold on to some of these! Give your family a slice of tradition with these tasty, old-fashioned desserts! I can’t think of a better recipe to start off this list of timeless confections than with this Lemon Pudding Dessert! 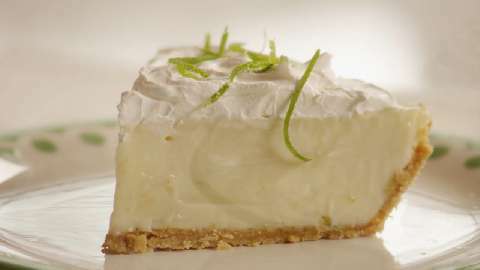 Taste of Home delivers fresh and light flavors in this dreamy, creamy lemony delight! A buttery shortbread crust is the perfect foundation for this delicate dessert. Perfect for spring and summer potlucks and church picnics! 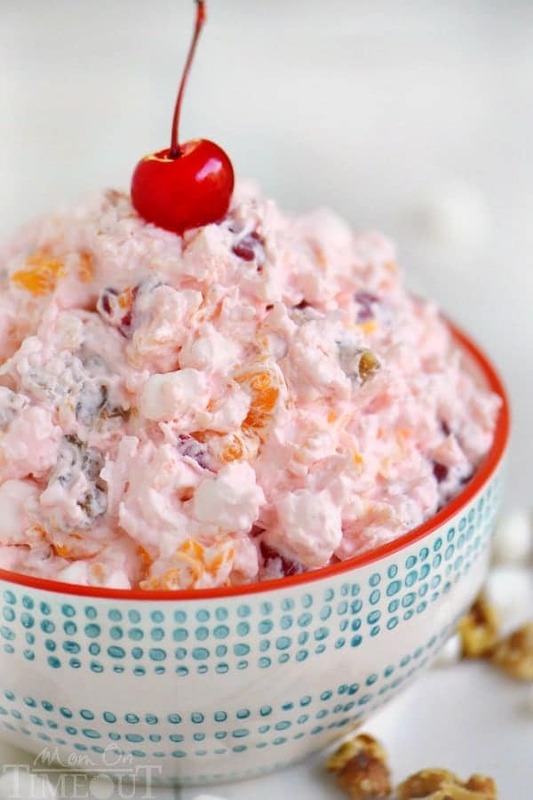 My mom’s secret to send this over- the- top is to substitute the ordinary store-bought cool whip with some homemade whipped cream. Just trust me on this one – no one wants to live with regrets. Salty and sweet are a match made in heaven with this summer delight! So refreshingly decadent – and since the star ingredient is strawberries, you are conveniently fitting in a serving of fruit in your dessert! I’m pretty sure that cancels out the sugar and cream cheese- it’s basic baking math. It may not be textbook, but it’s right in my book! Aloha! Say hello to this bite of tropical paradise in this luscious classic! You can literally taste the sunshine in this bright treat – and in the Midwest, we could all use a little extra sunshine! Again- utilizing simple ingredients like store-bought pudding and cream cheese proves our ancestors understood the value of simplicity. 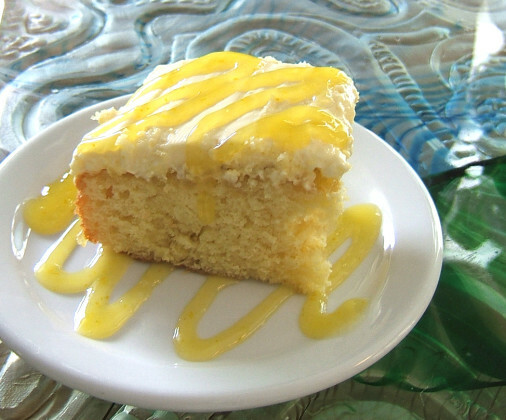 In my humble opinion, this simple cake outshines any item found on fancy restaurant dessert menus! What’s one thing seasoned women (Grandmas included) all have in common? They show love through food! This southern classic may be a labor of love, but it’s worth every morsel and I know your family will agree! A flaky crust + a cinnamon-sweet filling + that crunch from the pecans (there I go again with that baking math) = perfection! Truly as warm as the south! All you need is a porch swing and some sweet tea! 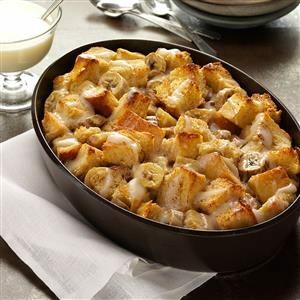 If you have never tried bread pudding, you don’t know what you’re missing! Before you ever consider pitching that day old bread and those brown bananas, just slow your roll! Those are the dynamic duo that creates this scrumptious and satisfying dessert! Think of your favorite banana bread… this is so much better than that! You can thank me later! So we dropped the “bread” and are left with banana pudding! C’ mon – I couldn’t talk about old-fashioned recipes without mentioning this Southern staple! Humble ingredients, but not humble on flavor! So light and fluffy – traditionally a summertime dessert, but some rules are just meant to be broken. 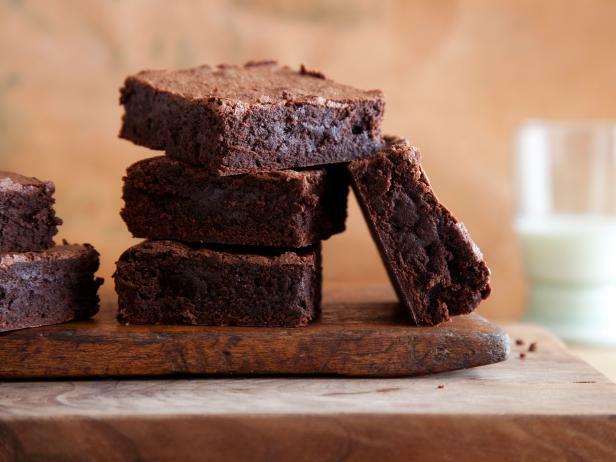 Before the existence of Dunkin Hines and the convenient invention of brownies from a box, recipes like this adorned a plate – hot out of the oven and ready to eat when the kids came home from school – famished from learning and craving a rush of chocolatey goodness. Gooey, fudgy, rich… sorry, Dunkin Hines, but you’ve been replaced. If cherry pie and vanilla cake procreated, it would make this old-fashioned gem – cherry dump cake. And what a beautiful little mash-up it is. Don’t be fooled by the word “dump” in the name – it has no relevance to the flavor! In respect to both sides of the family ( cake and pie), add a scoop of vanilla ice cream – to cut through the sweetness, of course! Not much else says old-fashioned like some maraschino cherries – it’s the beloved, universal staple found in every Grandma’s kitchen. With a little help from a few more simple ingredients- mandarin oranges, coconut, crushed pineapples and marshmallows- this dessert is not only delicious, but budget-friendly. Not a master baker? This dessert just became your best friend! And with “salad” in the name, it has to be good for you, right? You don’t have to answer that. What’s up, Doc? Sorry – I couldn’t resist – but seriously, this dessert is a timeless French confection, dating back 1827! An oldie, but a goodie! This cake’s moist filling will raise the bar on whatever existing preconceived notions you might have about a cake made with a vegetable. And the decadent cream cheese frosting is literally “the icing on the cake” and delivers exactly what your sweet tooth desires! Peaches, cinnamon, nutmeg – Oh, my! This American deep-dish dessert has been serving up smiles for centuries! With this thick, fruity filling and airy topping, it’s no wonder this recipe has stood the test of time. Whether it’s wrapping up a Sunday dinner after church, a family picnic or special occasion, peach cobbler is sure to be a crowd pleaser! There’s something special about a cookie jar – an ornate, ceramic container encapsulating the smell of every sugary and buttery crumb that has the privilege to reside there – well, at least until they fulfill their cookie destiny. 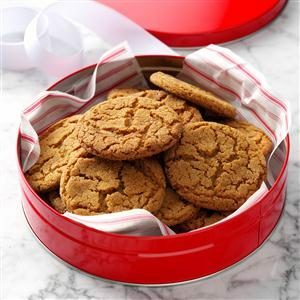 The spicy flavor of the ginger paired with the maple flavor of molasses create this heart-warming cookie. This 5- ingredient wonder is light and creamy. With a hint of tang, this dessert packs the right amount of punch. If you really want to be fancy, you can make a homemade graham cracker crust, but store-bought will do just fine – no one will even know the difference! And it’s pretty. While apple pie is about as classic American as Baseball, I deterred slightly with another traditional apple-filled dessert – apple dumplings. The fork practically floats to your mouth as you live apply ever after! I wisely saved the best for last. They say if it sounds too good to be true, it probably is. But this cake debunks that theory because it is soooo good and thank the Lord, so true! One of my all-time favorite classic desserts, red velvet cake is hands down the BEST cake- even if it has gray icing and is in the shape of an armadillo. History never tasted so sweet! 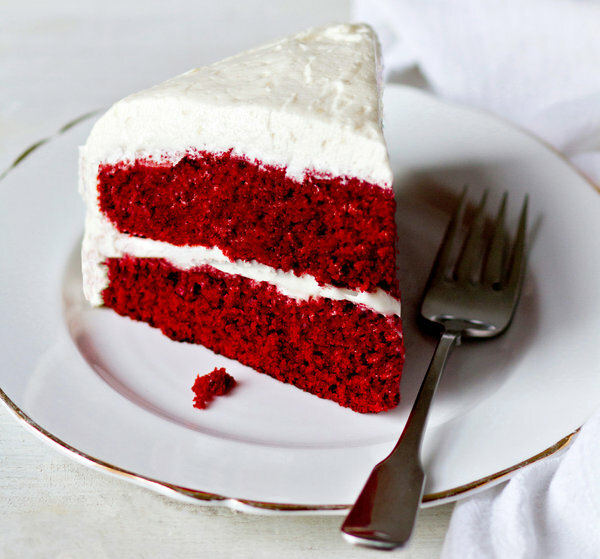 I could go on and on down memory lane with these old-fashioned desserts, but I’ve got a delicious date with a slice of red velvet cake!